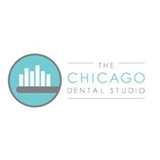 The Chicago Dental Studio (Chicago) - Book Appointment Online! ** DENTAL CONSULTATION DOES NOT INCLUDE CLEANING ** We truly believe that our patients deserve the highest standard of care available. As such we strive to provide aesthetic, conservative, pain free and minimally invasive solutions to achieve this goal. Our aim is to continually improve and evolve giving our patients the highest quality dental care in Chicago. To achieve this, we routinely attend continuing education classes to implement new techniques and procedures. When caring for patients we don’t take the “mouth only” approach but rather attempt to treat the patient as a whole. This approach is supported by research linking systemic diseases and the state of your oral health. We demand excellence from ourselves and accept nothing less for our patients. The entire staff is professional and courteous in every respect. I am so pleased to find a Dentist just blocks away from where I live. The staff is amazing, the office offers all the newest and finest techniques and equipment available for excellent dental care. River North is very fortunate to have such professional and brilliant Dentists to serve them. Dr. Hoffman was extremely pleasant and very clear in his explanation regarding what kind of care I needed and establishing a plan for the work to be done. I appreciated the amount of time he spent with me. After going to the same dentist for over twenty years I feel very confident I have made the right choice choosing Dr. Hoffman and the Chicago Dental Studio as my new home for Dental Care. He was incredibly helpful, and he explained my diagnosis in a way I could understand it. He was quick to diagnosis and recommend me to a specialist, while writing effective prescriptions.